Since established in 1994, KAUKAN insists on the principle of integrity and professionalism to pursue the excellence in industrial cooling technology and quality stability. We have passed and obtained CE and ISO 9001 quality assurance certification. KAUKAN continuously improves not only hardware and software technologies but also develop new cooler units to meet customer needs. In the future, KAUKAN plans to combine our outstanding traditions with the development of energy conservation and environmental protection. With a double-rib manufacturing base and a diverse product line, we are ready to meet the needs of our customers. 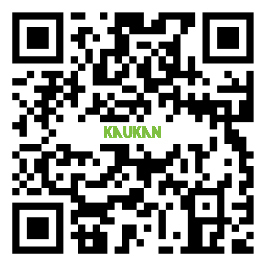 The company was founded and started production of an industrial cooling system under the KAUKAN brand name. Obtained EU CE certification under the direction of AMTRI VERITAS Ltd. in the United Kingdom. The Ministry of Economic Affairs of Taiwan has registered as an importer and exporter of excellent mechanical export services. Successful entry into the Korean machine tool market. Successful entry into the EU market. Successfully developed a precision temperature control +0.5°C water and oil cooler and began production and sales in the Korean market. Purchased and relocated to a new factory in WufFeng District, Taichung, Taiwan. Established Nan Jing Kau Wen Technology Co., Ltd. a subsidiary of Kaukan Industries Co., Ltd., and successfully entered the Chinese market. Successful development of a low temperature, -30°C liquid temperature cooler and production. Obtained ISO 9001 certification under the direction of the British DAS Certification Co., Ltd. Participate The Taipei Int'l Machine Tool Show ( TimTos Machine Tool in the Taipei ) and actively expand the domestic market. The Factory Celebration of 20th Anniversary of Kaukan Industries Co., Ltd. Participate The Taipei Int'l Machine Tool Show ( TimTos Machine Tool in the Taipei ) and and won sales in the domestic market. The oil and water cooler series machine passed the UL&CSA certification (TÜV Rheinland Greater ) and became the first company in Taiwan to receive the certification for its full range of industrial cooling systems. Pass by Japan's electronics manufacturers qualified suppliers.